RUSH: I played golf yesterday, and people constantly asked me, “Rush, Rush, how do you think Trump’s holding up under all this?” Well, I’m not with President Trump, but I know him, and I can tell you that I don’t think you need to worry about whether or not he can bear up with all this. I think Donald Trump is a preeminent multitasker, can handle multiple things at one time, and when he’s committed to doing something, nothing stops him or gets in his way. So they’re not succeeding in destroying his psyche or his confidence or any of that. I am assured of that. RUSH: There it is, right up there again! 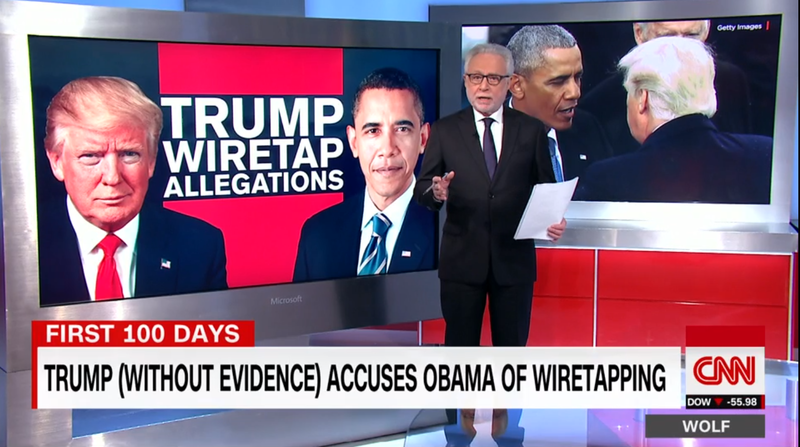 Look at the headline on CNN: “Trump (Without Evidence) Accuses Obama of Wiretapping.” Have you ever seen that same headline: “Democrats (Without Evidence) Accuse Trump of Conspiring with Russians”? I’m telling you, the hatred these people have! That’s what it is. You think…? It’s not just bias. It isn’t just partisanship. It isn’t just ideology. These people on the left and in the media have, I think, an almost out-of-control hatred for Donald Trump. They hate Trump on multiple levels. By the way, something that dovetails with this. 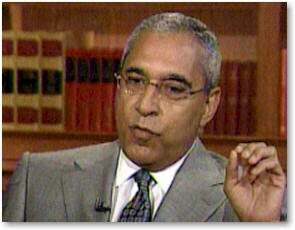 I have a piece here by Shelby Steele who’s… I admire Shelby Steele. I put him with Dr. Sowell in terms of brilliance, writing ability. And he has the most perceptive piece about modern liberalism and how we are watching it crumble. One of his explanations for the reason liberalism has become totally identified and devoted to identity politics, and particularly racial… He says what is happening to liberalism is over the course of many years, primarily in education, the left has raised a bunch of young people to believe that slavery represents the absolute worst thing that has ever happened in the world and that it happened here in the United States. Young people have been educated and raised to believe that that aspect of our history disqualifies America from ever being anything that you can justify, from ever being anything great, from ever being anything with any goodness in it, that the United States is forever blemished. His piece is called, “The Exhaustion of American Liberalism,” and let me read specifically. He says, “Liberalism has become a moral vaccine that immunizes people against stigmatization.” In other words, it’s so easy to become a liberal. If you’ve been preached to, if you’ve been educated, if you’ve been raised to believe that this is the most racist, the most disgustingly vile nation in the history of the world, and you are white, then you can inoculate yourself. You can immunize yourself from being associated with that aspect of American history because you are white, by becoming anti-American, anti-this and anti-that. It’s a fascinating piece. He says, “Barack Obama and Hillary Clinton, good liberals both, pursued power by offering their candidacies as opportunities for Americans to document their innocence of the nation’s past. “‘I had to vote for Obama,’ a rock-ribbed Republican said to me. ‘I couldn’t tell my grandson that I didn’t vote for the first black president.’ For this man liberalism was a moral vaccine that immunized him against stigmatization.” So the point here is that it’s hatred. They have created a hatred for the United States and its past. The hatred here when they lose — based on being profoundly moral and the best people around — they can’t deal with it. So we’re dealing with raw, raw hatred against Trump, for just having the audacity to win. And since he cannot have legitimately won because no white person should ever prosper in America ever again after what people have learned after how badly we’ve treated people in our past, that it’s doubly insulting. And then you can take it even further into psychoanalysis if you want to and claim that what these people are doing is admitting they’ve got no morality and this is how they’re assuaging themselves of the fact that they themselves are immoral on the left. But I don’t want to get too far on that. I’m just saying that there is a profound hatred driving all of this. And when you are consumed with rage and hatred and you feel that you have been slighted or shafted or screwed — which the left feels, which I’m sure Obama feels, which I’m sure Hillary feels — then everything is on the table for making yourself feel better. And I think we’re in the midst of this raw hatred. That’s how you explain that headline on CNN. They never, ever used to put opinion in what they consider to be straight news before, and only in selected stories. RUSH: There they are again. CNN: “Without Proof, Trump Accuses Obama…” Do these people not get it? Do they not understand that American TV viewers have brains? They obviously don’t think American TV viewers have brains. I’m convinced it’s part of the general contempt that the Drive-By Media holds for its audience. In fact, the American people are not even their audience. When you get right down to it, it’s other journalists that they’re trying to impress. (sobbing) “Without Proof, Trump Accuses Obama of Wiretapping Him!” Without proof? How about, “Without proof, the Democrat Party seeks to overturn election by claiming Russians worked with Trump to hack it”? Do we ever see “without proof” in the midst of that allegation? And this is my whole point today. There is no evidence of any of that. But we’ve got plenty of evidence of Obama wiretapping people. When you get down to the whole reasonable question, folks, it’s not Trump that appears off the wall and unreasonable. It’s people closed-minded and automatically rejecting this. RUSH: Here’s Mark in Fort Worth. Great to have you on the program, sir. I’m glad you waited. How are you doing? CALLER: I’m doing great, Rush. Great state dittos from Texas. CALLER: You bet. 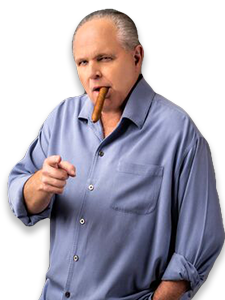 Rush, this wiretapping episode really provides an excellent case study for people who want to figure out who’s truly being a journalist and who’s simply being a partisan hack, because you’ve said on numerous occasions that 90% of journalists are in the business today because of Watergate, right? Woodward and Bernstein are their heroes. That’s why they got into the business. If they truly are journalists and they get wind of a case where a sitting president is alleged to have spied on a political opponent using agencies of the federal government, their first instincts as journalists — if that’s what they really are — is to go get the story. I mean, that can be a career-defining story. You make your bones as a journalist doing that. If your first instinct is to go get the story, you’re a journalist. If your first instinct is, “I’ve gotta cover for my guy,” you’re a partisan hack, and it’s just that simple. RUSH: I can’t really refute that. I can’t declassify that. I can’t object to it. I think it’s a great point. In fact, there have been media people… I can’t remember the name, but I saw one specifically say, “It is our duty to destroy this allegation,” meaning, “It’s our duty to prove Trump wrong.” (interruption) No, that was… (interruption) It might have been Kristof. (interruption) I didn’t get a name. (interruption) No, Kristof is the one that asked the IRS to leak him something. Trump’s tax returns. No, I forget who this was. I read this — I don’t know — last night late or early today when I’m in the midst of prepping the program. You’re exactly right. Let’s do the old reverse-the-names trick. Let’s say that Barack Obama wanted to allege that George W. Bush had wiretapped him or was spying on him. Do you think the media would investigate that? CALLER: They would break arms and legs investigating that. RUSH: (laughing) And they would probably find evidence that doesn’t exist to substantiate it. RUSH: Look, there’s no question that the media today has a relationship with Barack Obama that… (sigh) I can’t say it’s unique, because the modern-day media is the Democrat Party and their objective is to advance the Democrat Party agenda as well as try to discredit any opposing agenda, which would be us and the Republicans. But the relationship they’ve got with Obama is above and beyond that. And, folks, I’m telling you: You cannot take the racial component out of it. It’s exactly what Shelby Steele was referring to.